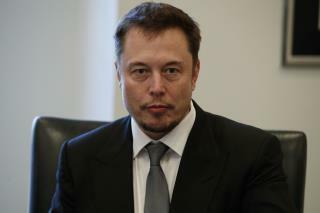 (Newser) – Amid reports that President Trump is about to ditch the Paris climate accord, Elon Musk offered a warning to the POTUS: He'll quit Trump's advisory councils if Trump withdraws from the Paris deal. "Don't know which way Paris will go, but I've done all I can to advise directly to POTUS, through others in WH & via councils, that we remain," the Tesla CEO tweeted Wednesday. And then, in response to a question about what Musk will do if Trump decides not to remain in the accord, Musk replied: "Will have no choice but to depart councils in that case." He flies around in a private jet that emits more co2 in one trip then my truck would in 50 years. He runs a car company heavily subsidized by the American tax payer.